Since it’s Friday, I decided to share some of my favorite things from the week! 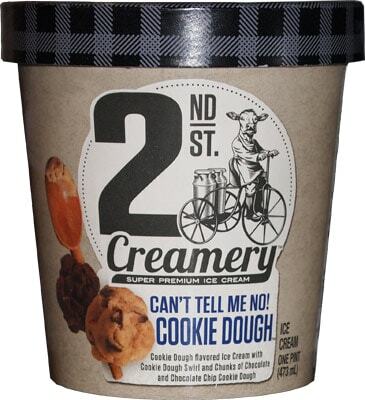 -2nd St. Creamery’s Can’t Tell Me No Cookie Dough. This is the BEST cookie dough ice cream I’ve ever had (and I’ve tried lots!) The ice cream base itself is cookie dough flavored instead of vanilla, and then it has both regular cookie dough and chocolate cookie dough in it. It’s insane. My brother’s getting his wisdom teeth out today, so I offered to spoon all the cookie dough out (and eat it) so he can have just the base. Such a selfless sister, I know. This picture makes me laugh! 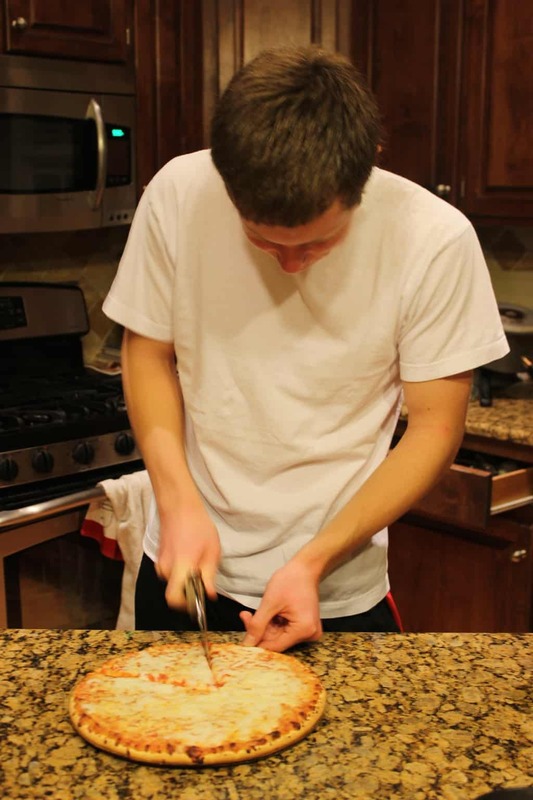 Since he’s getting his wisdom teeth out this morning and won’t be able to eat real food for a week or two, he ate a pizza after dinner to “stock up” for the week. Ha! -“Keep Your Eyes Open” by Needtobreathe. I’ve been loving this song on runs and on walks recently. So encouraging and catchy! –These new pajama pants are the most comfortable thing ever. I don’t know if I’m behind the times or what, but I’d never seen pajama pants that are skinny at the ankle. Now that I got them, I’m seeing them pop up everywhere. They’re so different and I love them! ‘Tis the season to be cozy! -This story. Olive Garden did a promotion where they sold a $100 pass for 7 weeks of unlimited pasta at their restaurants. Their website had 1,000 passes available, and they sold out almost instantly. This guy managed to buy a pass, and then he used it to get pasta and bring it to the homeless people in his city. The video is really great and seeing people who take care of others like this makes my heart happy! -Ben & Jerry’s new Peanut Butter Half Baked– Oh Ben & Jerry, you’ve done it again. I haven’t tried this one yet, but a friend posted it on Instagram since it’s a new limited batch flavor for 2015. Instead of Half Baked’s normal chocolate and vanilla ice creams with cookie dough and brownies, it has chocolate and peanut butter ice creams with peanut butter cookie dough and brownies. Mmm, I can’t wait to try it! -The warm weather in NC this winter. I’ve been running in shorts and a tanktop all week long, and it’s almost Christmas time! What is this? Whatever it is, I love it and hope it stays like this! -Catching up with friends from high school. Lunches and runs with friends have been so much fun this week, but I’ve been terrible about taking pictures! This weekend, I’m excited to get to catch up with a few more friends, and get ready for relatives to come in town for Christmas! They’ll be here Monday! Would you buy a $100 pass for 7 weeks of unlimited pasta?! Plans for Christmas? My grandma and grandpa, other grandpa, and great uncle are all coming to stay with us. Why We Gotta Be So Mean [To Ourselves]? I hope you can find 2nd St. Creamery! I get it at Harris Teeter in NC, but hopefully there will be a place around you that sells it. Yes, it’s SO encouraging to see stories like that on the news with all the other not-so-good things that are always happening! 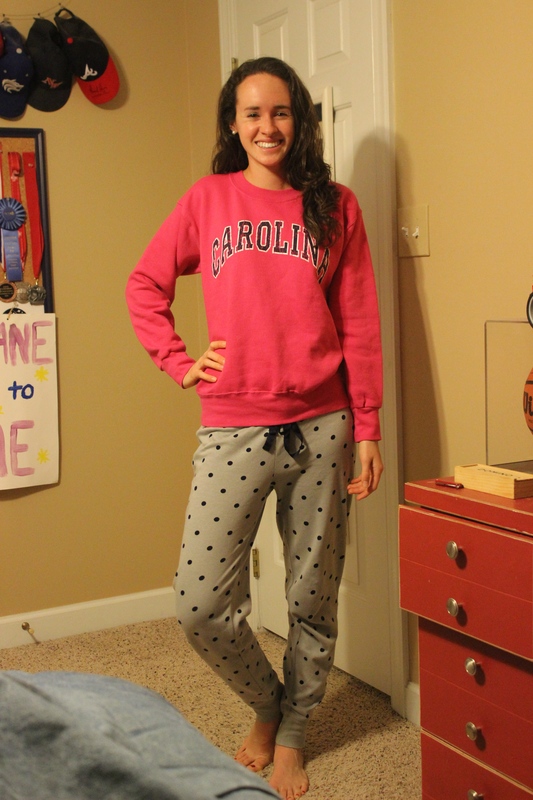 Ooo, those are cute pajama pants! Oh man, both of those ice cream flavors sound incredible. Thanks, Jen! I mean, I can’t speak for the Peanut Butter Half Baked, but how could it not be incredible?! Plans for Christmas: Sleeping in a bit, hanging with the sibs, and then having my grandparents over 🙂 And of course, sticky buns for breakfast! Thanks, Liz! You’re too sweet!!! I’ve definitely had cinnamon rolls, but I think I’ve only had a sticky bun once or twice and now I’m craving one! Hope you have a wonderful Christmas with your family! Oh my gosh both of those ice creams sound so good. Cookie dough is my favorite ice cream flavor and half baked is my fav B&J flavor. I’m going to have to take a trip to Teeter when I get back! 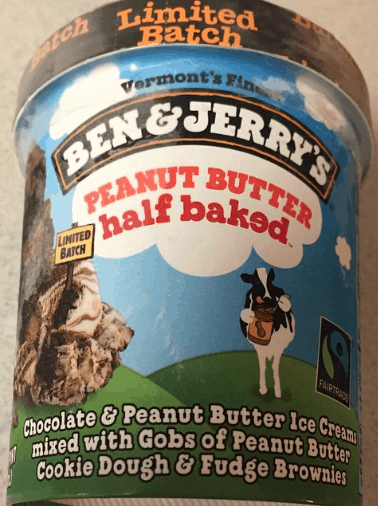 Half Baked is one of my favorite B&J flavors, too, so I can only imagine how good this new flavor’s going to be! I guess no Harris Teeters in Ohio?! P.S. I also live in NC! I’ve also seen some similar ones at Gap and Aerie. Isn’t the style so fun? You are ALL about the ice cream 😉 I cannot even remember the last time I had some, Ugh! WANT! Hey Lora! I LOVE their salads! That dressing is addicting. We recently discovered that they sell their salad dressing by the bottle at the grocery store, so we buy it and make our own Olive Garden salads sometimes 🙂 Now I’m seriously craving an Olive Garden salad! The video about the man giving out pasta to homeless through that Olive Garden program is amazing. I love it when I see stories like this! And that cookie dough ice cream…I NEED that in my life!